In this issue: surviving at trip to Mars, docking the big ships, a magician with an ace up her sleeve, and a pirate hoard of “black gold.” All that plus contest winner announcements. Oil. The Americas have it. The United States of Europe needs it. Without oil, all hope by the time traveling town of Grantville, West Virginia to bring science and industry into the heart of a European continent still crawling out of the Dark Ages is lost. Enter Lieutenant-Commander Eddie Cantrell, daring up-time commander of this venture into western oceans. But Cantrell’s plans could be wrecked in a multitude of ways. The Spanish are after him, and there are other enemies with even fewer scruples determined to hang the commander from a yardarm. 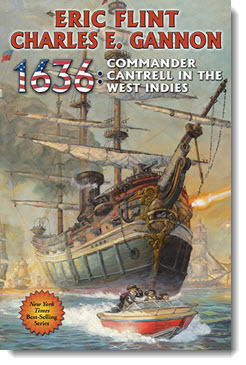 Get the 1636: Commander Cantrell in the West Indies eARC here. In the year 2035 space exploration is a reality, and the first manned mission to Mars is away. Sending humans into space is risky—but are the risks worth it? The astronauts and mission specialists of the Arrow—a crew set to be the first humans on Mars—think so. But powerful political forces on Earth disagree, and they'll use any mishap to prove their point. And when a fluke collision hobbles the ship, it's not only the lives of the crew that hang in the balance, but the future of manned space exploration itself! 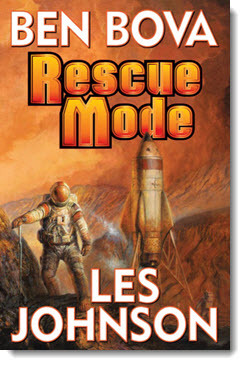 Read the Rescue Mode eARC here. Journey to the Past to Save the Present! The land of Kothifir’s proud towers are falling. In order to save the present, Jame, Kencyrath heir doomed to stalk the gods, must search the past, be it fifteen years ago when her brother Tori arrived in Kothifir, or three thousand years ago when the Wastes were a great sea ringed with rich civilizations. Somehow, Tori survived. Somehow, the cities of the plain were destroyed in one catastrophic night. 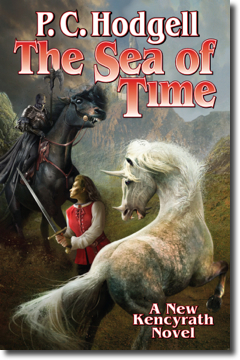 Get the The Sea of Time eARC here. Tamara Welder has made a life for herself on the planet commonly known as Funhouse. Performing stage magic in one of the smaller casinos isn’t a glamorous life, but it is an honest one, and as Tam is fond of saying “Outworlders know how to get by.” Thinking that the psychic “ping” she recently felt is a gambler trying to gain an unfair advantage, Tam calls the authorities. But Dr. Trevor Jamieson doesn’t act like a cop, and soon Tam begins to suspect that the good doctor is not really on Funhouse to investigate a card cheat, but something much more sinister. All new fiction from Robert Buettner set in the world of Balance Point, out in April from Baen Books. Read “Magic and Other Honest Lies” now. 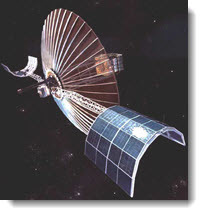 NASA has flown rendezvous missions for nearly a half-century. Since Project Gemini, astronauts and mission controllers have safely brought space vehicles together, whether from one country or more, over the earth or the moon, in a matter of hours or of days, all the while making it look as easy as meeting a friend for coffee. So, what does it really take to get a vehicle from the launch pad into orbit and mated safely with another craft, hundreds of miles high traveling at a blistering 18,000 miles per hour? Read “Rendezvous and Docking: a User’s Guide for Non-rocket Scientists” Part One by former NASA Space Shuttle mission controller Terry Burlison now. 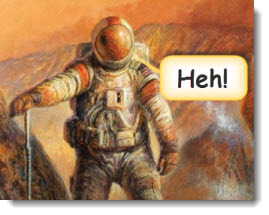 How many Baen fans does it take to write a killer Mars joke? 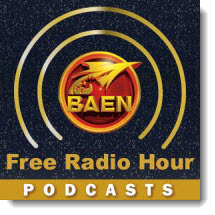 Your entries for our best Mars joke contest left the Baen staff rolling in the aisles. Narrowing down the side-splitting entries to one winner was no easy task. Congratulations to Chuck Patten for cracking us up! And congratulations to Richard Brown. Richard is the winner of a signed Trade Secrets poster. Lieutenant-Commander Eddie Cantrell must travel to the Caribbean to secure access to the most valuable commodity on that continent—the oil which up‑time machines and industry need. But when the Spanish finally come out in force to engage his small flotilla, Eddie will discover that they aren’t the only enemies who will be coming for him. The Kingdom of Manticore needs allies against the Republic of Haven—and the planet Grayson is strategically situated to make a very good ally indeed. When Grayson’s fratricidal sister planet attacks without warning, Honor Harrington knows she must must stay and prevail. 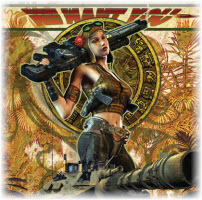 Private eye Jake Sullivan must put together a ragtag crew of airship pirates and Grimnoir knights for a suicide mission to stop a predator from a dark universe from destroying the source of mankind’s magic. Two novellas from a Science Fiction Grand Master! Divide and Rule: Earth has been plunged back into medieval style feudalism by an invading alien force. But one man will dare to stand up and try and topple the alien rulers. The Stolen Dormouse: In the future, corporations rule like feudal families in this science fictional take on Romeo and Juliet. The colonisation mission has failed, three of the five colony sleeper hangars have been destroyed... Time to adjust mission parameters. 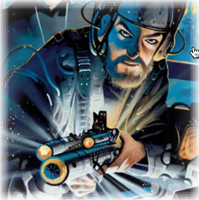 Classic SF from international bestseller Eric Brown. Take a journey into an extraordinary universe where mankind has become Augmented or Altered, where zebra-men talk with unicorn-women, and where you can break the chains of physics in the cobalt glory of the Nada-continuum. When a young tug pilot's career is ruined by a collision he has no choice but to accept a risky commission to a remote planet. Two collections from one of the most original voices in science fiction, available in a single bundle. Terry Bisson, Hugo and Nebula award winning author, serves up some of the strangest and most engaging stories of our time. Includes Bears Discover Fire and Numbers Don’t Lie. Get the Terry Bisson Story Collections Bundle today ! The Pulitzer Prize winning and New York Times bestselling classic of political fiction. A must-read epic of Washington, DC. 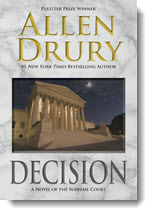 The gripping story of a well-meaning politician’s rise and fall (and, perhaps, rise again) by Pulitzer Prize winning legend Allen Drury. The epic prequel to Kevin J. Anderson’s international bestselling space opera, The Saga of Seven Suns. Science fiction on an alien world ruled by a dictatorial computer and the sweeping rebellion that allows the resurgence of forbidden music. By New York Times bestselling coauthor of the new DUNE novels. After an ecological catastrophe, the desperate defenders of one of the last surviving seed banks must stop barbarians from ransacking humanity’s future.